Coleman has been manufacturing oudoor camping gear since 1900. 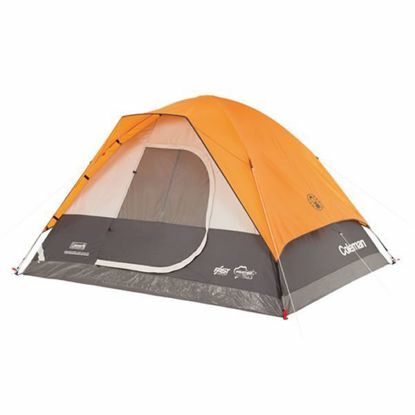 Set up camp in a compact, yet spacious tent with the Coleman® Sundome® 2-Person Dome Tent. 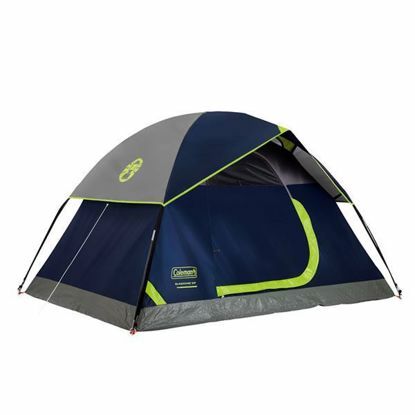 If it rains, this tent Keeps You Dry , thanks to the WeatherTec™ system, which uses a tub floor with patented corner welds, protected seams, and a covered zipper to help keep water out. Setting up your home base is easy with the Coleman® Longs Peak™ Fast Pitch™ 4-Person Dome Tent. 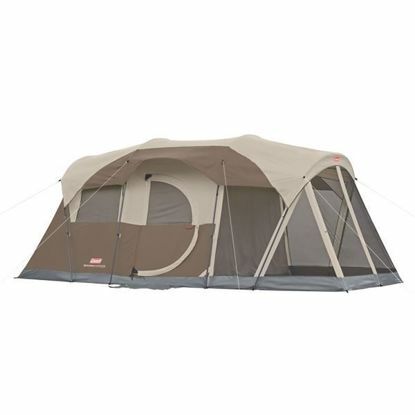 The Fast Pitch™ system uses pre-attached, color-coded poles and hub, fast fit feet and snag-free Insta-Clip™ suspension to let you set up your tent 60% faster than a comparable Coleman® tent with conventional setup. Grab a drink and an outdoor chair, and watch nature unfold before your eyes with a Coleman® WeatherMaster® 6-Person Tent with Screen Room. The screen room is a great way to stay away from bugs while enjoying the great outdoors. If it rains, the included rainfly and the WeatherTec™ system and its patented welded floors and inverted seams will help you stay dry.